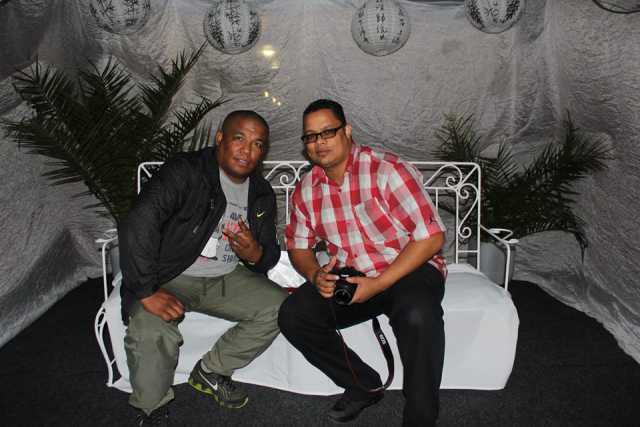 Adults cover charge R60, Kids under16 R20, Kiddies under12 Free. Race cars/Demo spinners parked in the open pit area. 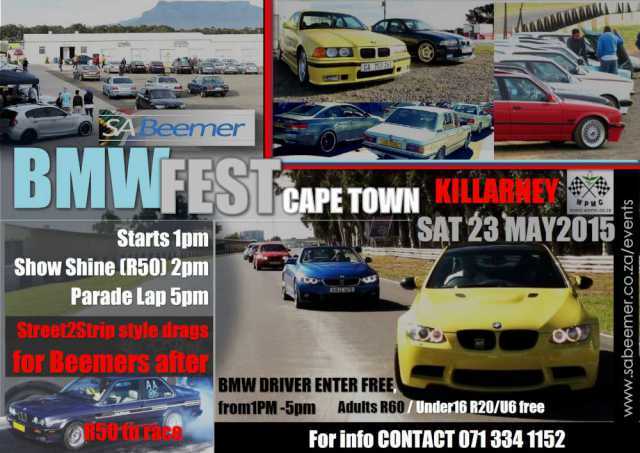 Registrations for BMWFest S2S (from 5pm to 7pm) = R50 to race. Ensure Long Pants, long sleeve, helmets. Cars will be scrutinised for racing. Show n Shine will start from 2pm, winners announced just before 5pm. Parade Lap after spin demonstration. Street2strip Drag entrants to move straight to starting line of drag strip after parade lap.